Curriculum, Instruction, and Assessment is committed to ensuring learning for all at St. Joseph Public Schools. This focus on learning, combined with the art and science of effective instruction, alignment of curriculum and assessment to our state standards, and fostering and maintaining positive relationships, makes student learning visible at SJPS. We value our families as partners in our journey to inspire lifelong learners and create tomorrow's leaders. Through a collaborative culture and work centered around four essential learning questions, we are reaching our commitment of learning for all. These four questions center on student learning and support systems. St. Joseph Public Schools' elementary students are being assessed using a standards-based report card. Standards-based report cards help to provide greater consistency in academic expectations from year to year and strengthen collaboration between you and your child’s teacher to support student success. The standards-based report card is correlated to rubrics that specify expectations for each grade level in English Language Arts and Mathematics. The rubrics are aligned with Michigan's Common Core Standards. Please note: Standards for Science and Social Studies will be added to the report cards when Michigan completes the standards adoption process in these content areas. In an effort to more clearly identify specific areas of strengths and/or challenges for each child, the report card also separates academic progress and behaviors that lead to successful learning. Traditional grading blended these two areas together and many times did not report a clear picture of your child as a learner. You will find samples of the report cards and rubrics available below. The rubrics are very informative for you as a parent. You are encouraged to review these and become familiar with the grade level standards for your child. The informational video regarding standards based reporting, which was shown on Back to School Night in September, is available for viewing below. On the SJPS 4-1 scale, a level 3 is our target and represents a high level of achievement. There will be very few 4's, as a level 4 indicates performance well beyond grade level expectations and some cases, a level 4 is not possible. (i.e. the kindergarten reading standard: Recognizes capital and lower case letters in random order) The rubrics are very informative for you as a parent. You are encouraged to review these and become familiar with the grade level standards for your child. Standards-based report cards help to provide greater consistency in academic expectations from year to year and strengthen collaboration between you and your child’s teacher to support student success. The report card also separates academic progress and behaviors that lead to successful learning. Students are now assessed both in academics and their learner behaviors, traditional grading blended these two areas together and many times did not report a clear picture of your child as a learner. You will find samples of the report cards and rubrics available below. Reading is critical for student's academic success and reading at home is an essential piece of reading achievement. 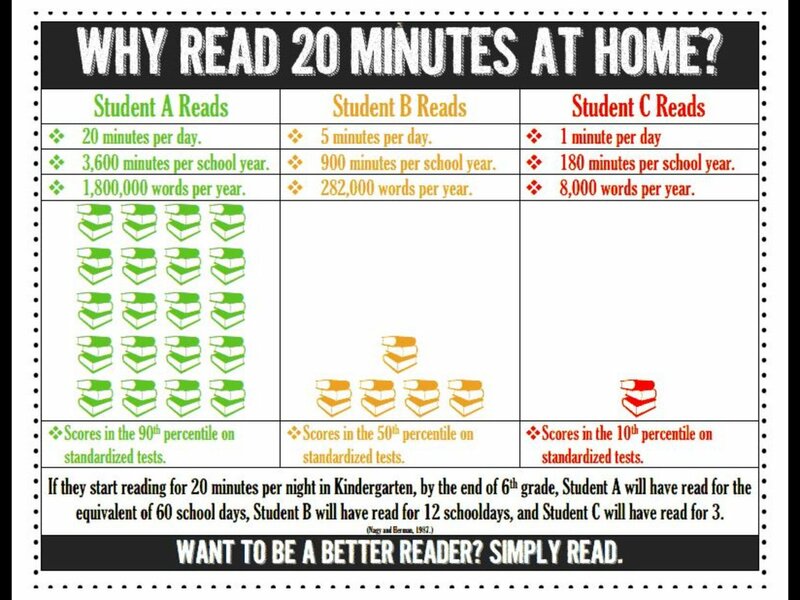 Reading 20 minutes a night with your child makes a huge impact on their academic success! Reading is comprised of several skills: letter identification, phonemic awareness, phonics, fluency, vocabulary, and comprehension. We are happy to share a great resource developed in Southwest Michigan that targets these specific reading skills. Simply choose the specific skill and you will see several activities to help your child grow as a reader! These have been developed by the National Parent Teacher Association. Click on any of these documents to view and download a PDF. Graduation from St. Joseph High School requires that a student earn a mandatory total of 22 1/2 units of credit in grades 9 through 12. One-half unit of credit is received for successful completion (passing grade) of one semester's work in a subject. Beginning with the Class of 2011, students must earn a mandatory 22 1/2 credits and attend school in grades 9-12 for eight (8) full time semesters. A student must also fulfill the Michigan Merit Curriculum during the course of their educational tenure (K-12) in order to receive a St. Joseph diploma. All students will be required to participate in the Michigan Merit Exam (MME). If a student has failed a required class that is needed as a graduation requirement or has failed classes and is behind in his/her total credits, he/she may, with prior approval from the counselor, take a class in summer school, through the Alternative Virtual Academy (AVA), or the Michigan Virtual High School. Thank you for your continued partnership in your child's success! If I can answer any questions, please call the curriculum office at 926-3122.